← Huntington Gymnastics Regional: Can Wawasee Bounce Back? AKRON – Duane Burkhart has made it official. 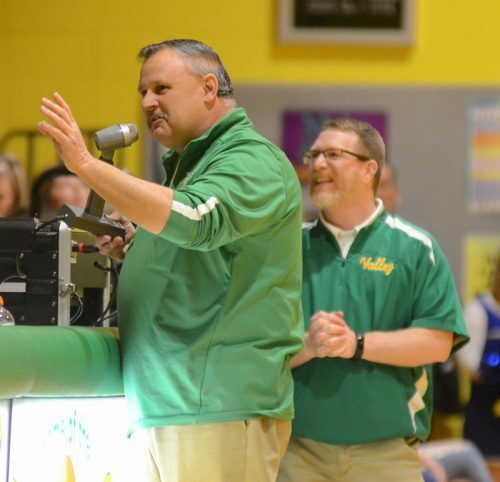 The longtime Tippecanoe Valley administrator, coach and educator will retire at the end of the current school year. Burkhart informed the School Board of his decision, which was well known to many, in a recent letter. Burkhart has spent his entire 35-year career in education at Tippecanoe Valley High School. He has served as the school’s Athletic Director for the last 24 years. Burkhart has also worn his fair share of coaching hats during his long and successful tenure at Valley. He served as the girls basketball coach for eight years and the baseball coach for six seasons. Burkhart was also the head track coach for two seasons and an assistant football coach for three years.